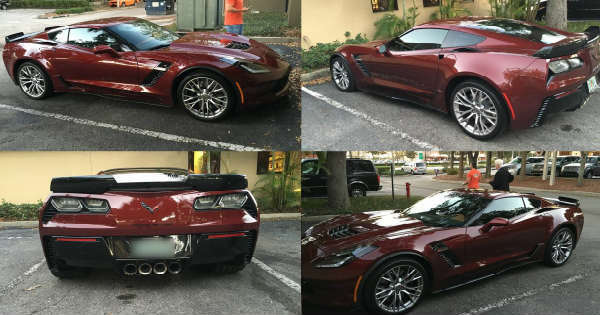 The Amazing Reply By Corvette Owner Went Viral! - Muscle Cars Zone! The Amazing Reply By Corvette Owner Went Viral! We live in a tough time where there is massive difference in the social groups hence we have a smaller group of people who are extremely wealthy and we have the rest of the nation who is struggling for survival. Even though this might not be fully correct hence we see normal people who purchase something expensive with money they worked hard for years and years to earn. This was surely the case with the following story in which a Corvette owner gave the proper reply to a man who accused him for wasting his money on an expensive car whereas he could have fed many people with it. This statement literary pissed off the Corvette owner so he came up with a reply that went viral and currently has over half a million shares! The Corvette owner taught the man a lesson he could never forget. He replied that he does not know how many people could have exactly been fed, but he knows that he fed a lot of families in Bowling Green, Kentucky who built the car. Furthermore, he fed all the people who took part in making this car, such as the coal miners who dig up the copper for the wires, the ones who hauled it from the plant of the dealer and the people at the dealership who work hard to feed their families. The man basically explained the difference between capitalism and socialism and we should all learn a valuable lesson from this Corvette owner and his viral reply!